To Look Like America is designed to contribute a unique perspective to those interested in the challenges presented to public sector organizations -- particularly in the federal sector -- by an increasingly diverse workforce. Current projections are that the American workforce will become more and more diverse over the next decade, forcing employers to respond to real or perceived barriers to the participation and advancement of women and minorities in their organizations. 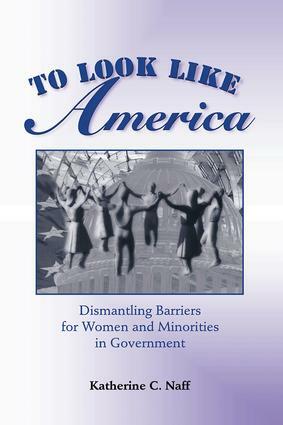 This book provides a means for identifying and taking steps to dismantle such barriers. It shows how empirical measures can identify the extent to which such barriers exist. The measures are applied to a broad cross-section of the federal civil service through the use of employment, focus group, and interview data, as well as responses to surveys administered to representative samples of federal employees. The analysis examines the consequences that result when barriers are left unaddressed, and concludes with an assessment of interventions that can be effective in dismantling barriers and promoting true participation.